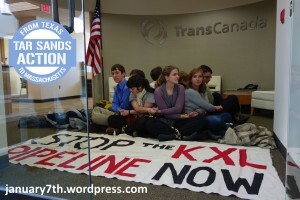 Westborough, MA– Eight youth climate activists staged a sit-in today at the TransCanada Corporation’s office in Westborough, MA to protest the Keystone XL pipeline. 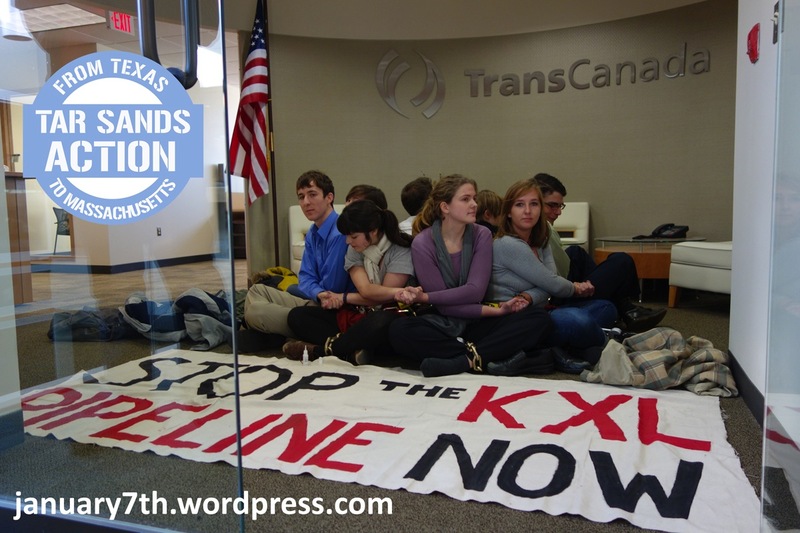 The students locked themselves to one another in opposition to a corporation whose business plan promises to “lock us into climate disaster.” Click here to learn more. It is time to bring the threat of rapid climate change off the back burner of public discussion and make it a national priority. It is past time to begin global reductions in carbon emissions. Our elected leaders are failing us. We must build a people’s movement demanding change that is more powerful than the moneyed interests that benefit from business as usual. Since 2007, 350.org has been working to build a global grassroots climate movement. 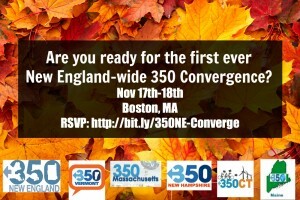 In New England, statewide 350 organizations have formed in Connecticut, Maine, Massachusetts, and Vermont. 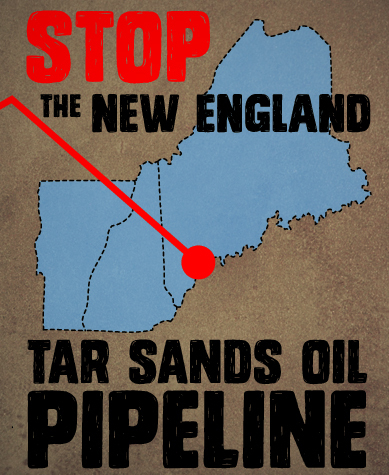 Local groups are working to build the movement in these states, as well as in New Hampshire and Rhode Island. 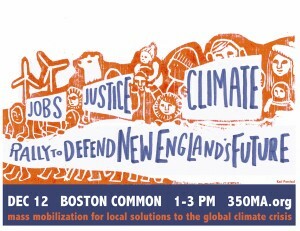 After the November election, the Do the Math Tour will come to Portland and Boston with global climate movement headliners Bill McKibben, Naomi Klein and Josh Fox. This 20-city tour will energize our movement and announce new initiatives. The time is right for us to come together, not as a few representative leaders, but as a single movement of people dedicated to working together to end the single biggest threat to humanity. climate change to bring the struggle to move beyond fossil fuels home to New England. Saturday, Nov. 17 will feature a full day of panels, workshops, and fun designed to foster cross-polination of ideas and brainstorming as we work together to better utilize our limited resources. • Activists from the frontlines will present their stories. • Educational sessions will focus on tar sands, coal, and gas. • Participants can attend small group workshops on divestment, campaign planning, art, and social media. • An entire track will concentrate on non-violent direct action training for groups of people willing to lead actions in their regions/states against fossil fuels. • A final plenary session dedicated to Building Bridges among diverse groups. • An evening dance party and time for socializing. The morning of Sunday, Nov. 18, a smaller group of organizers will begin planning direct actions in their home regions/states. We encourage you to participate in this portion of the Convergence if you are prepared to commit your time and talents by joining a leadership team to coordinate these actions. 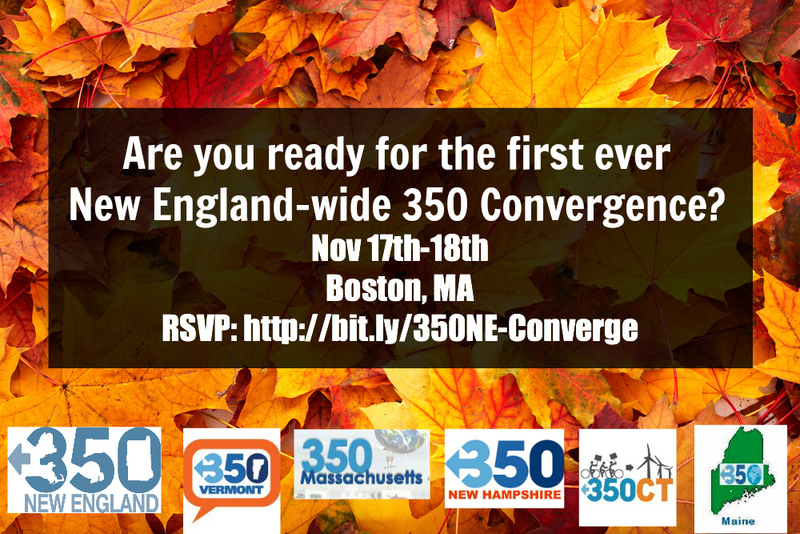 Our hosts at 350 Massachusetts are committed to finding free housing for those who need it. We encourage everyone to utilize public transportation and carpooling.